In New York City it seems like a construction project is taking place every couple of blocks. A renovation is occurring here, a new building is being erected there, and so on. Unfortunately, construction is a very dangerous trade and injuries happen each year to innocent workers. Some are even killed. In recent years, a high number of those deaths were caused by a falling accident from a height, often from a defective or unsafe scaffold. Many accidents also occur with companies that have fewer than 10 employees and who employee undocumented immigrants. It is a simple fact that there are a number of construction companies which do not file for proper permits and flout safety regulations. Consequently, workers suffer deaths and injuries that should have been preventable. It is in these cases that it is important to have a skilled and knowledgeable New York Construction Accident attorney. Fortunately, New York has construction accident laws that provide strong protections for injured workers. These laws are codified as Labor Law sections 200, 240(1), and 241(6). Perhaps the most well-known is Labor Law 240(1), otherwise referred to as the “Scaffold Law,” which covers workers who fall from a height or are struck by a falling object. This law has recently been expanded by a Court of Appeals decision to apply in other situations as well. Significantly, the New York construction accident laws make owners and general contractors responsible for accidents caused by unsafe equipment and procedures, even in circumstances where they were not involved with the work. The laws, therefore, enforce a "top-down" approach to safety -- which is the most effective way to promote safe practices -- and provide a remedy for workers who, if only their employers were liable, would be limited to collecting workers compensation. We have vast experience representing injured New York City construction workers. In fact, Eric Dinnocenzo has been quoted by Reuters about legislation concerning the Scaffold Law. 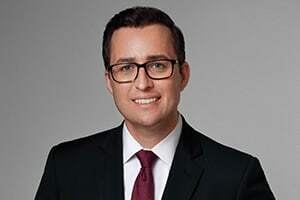 He is also the author of the New York Construction Accident Lawyer blog which highlights developments in the New York Labor Law. We have settled and tried cases on behalf of injured construction workers. Because written submissions to the court are often important in construction accident cases, we are especially qualified to obtain relief for our clients based on our substantial writing experience. If you have suffered injuries in a New York construction accident, you can contact New York construction accident lawyer Eric Dinnocenzo at (212) 933-1675 for a free consultation.